Available in tamper proof zipper style and throw over style. 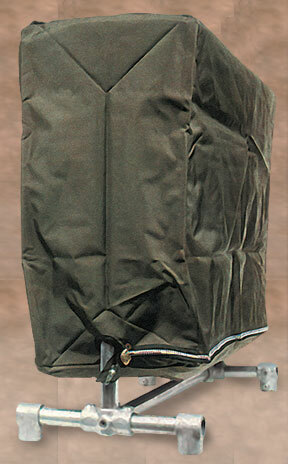 Garment rack covers are manufactured of industrial weight polyurethane-coated nylon for weather resistance. Stitched to last! Locking devices and window pockets available. Standard size is 60x72x24. For immediate information and pricing please contact us. We return calls promptly and courteously.